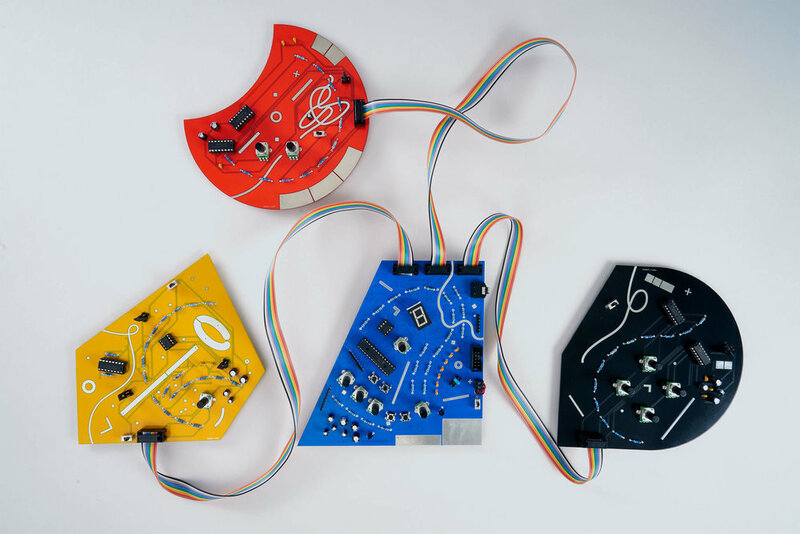 Polytik modular synths: playing with graphics and sound. POLYTIK is a collection of beautifully designed hand-held synth modules exploring the border between play and sound. 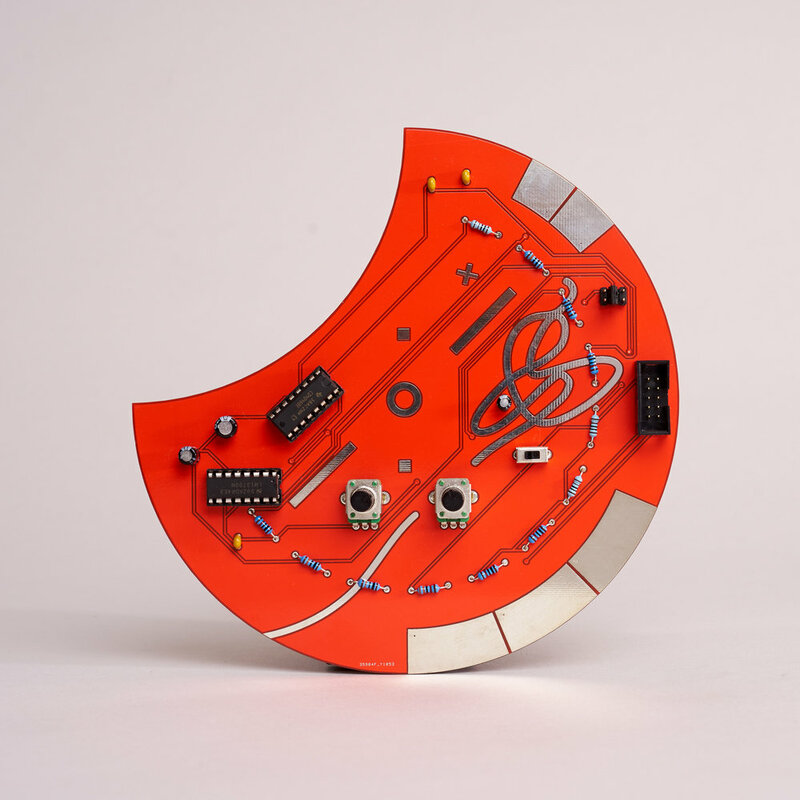 Born out of a DIY ethos and the maker community, Polytik has been crafted into something very different – a series of beautifully designed objects in their own right. 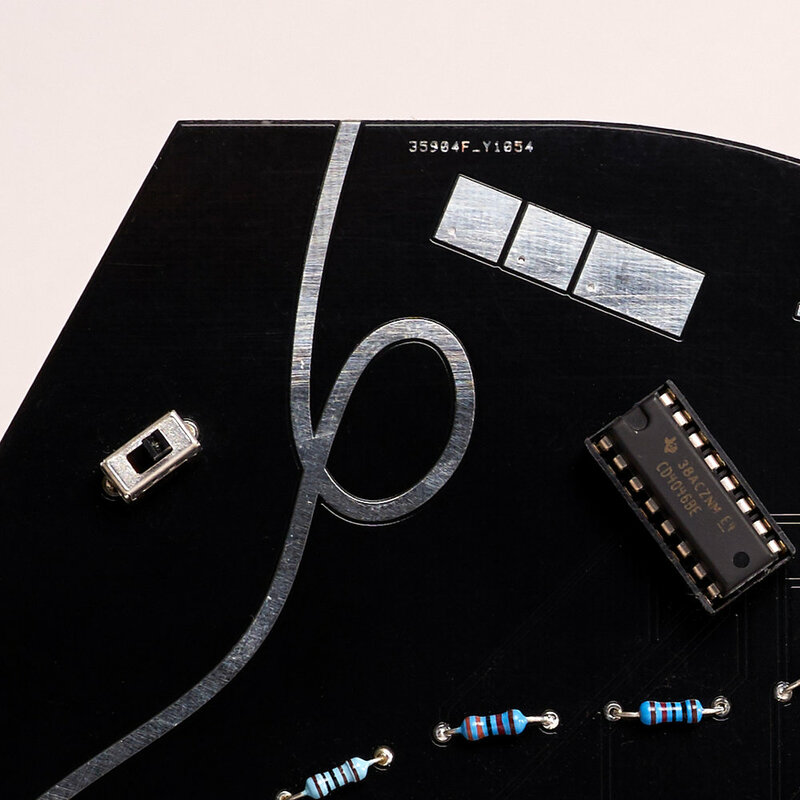 POLYTIK uses open-source hardware and encourages users to make new modules and hacks. 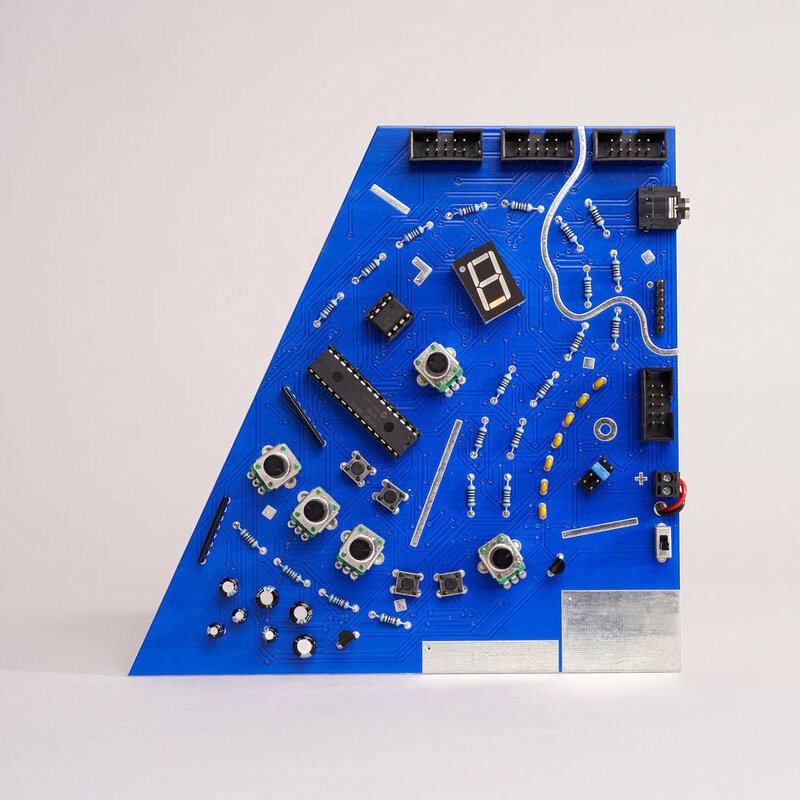 The brainchild of John Richards and Jack Featherstone in collaboration with Artists & Engineers, these hybrid analogue/digital devices can produce a palette of sounds ranging from angular rhythmic sequences to abstract noise, pads and drones. Each module looks like a work of art, but POLYTIK’s unique design is more than purely aesthetic. The key to the POLYTIK experience is the ability to work directly with the components, rather than through the once-removed medium of swiping a screen. 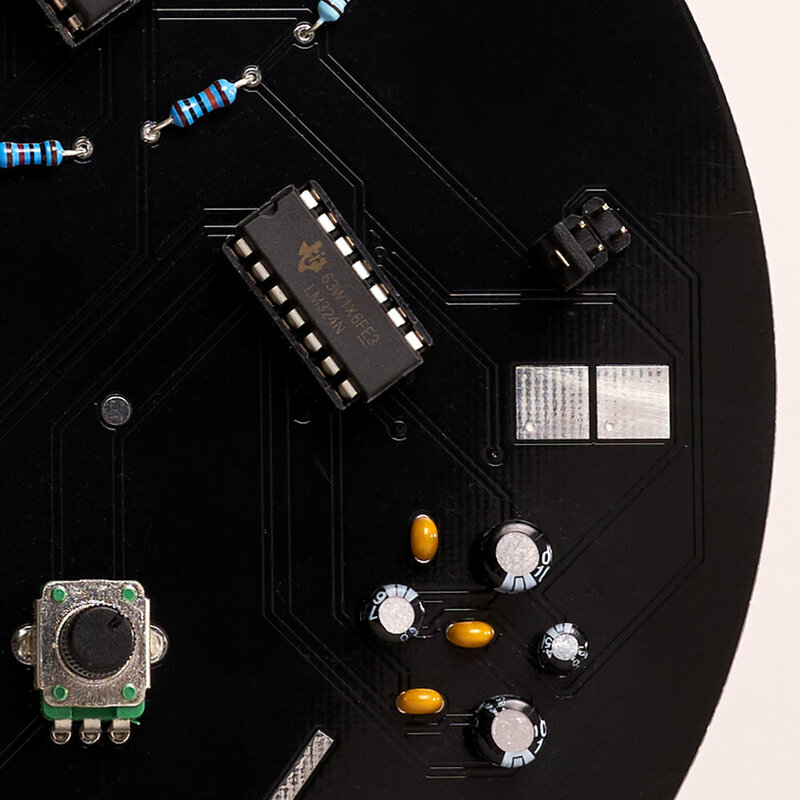 Touching parts of the circuit boards and the visual design details enable you to physically interact with POLYTIK to produce different sounds and sequences. Deliberately designed without any instructive markings, the intention is to encourage the user to explore the synths’ capabilities through intuitive play. Core (Blue) - A sequencer, programmer and mixer. You need to start with this module and can add all or any of the others to begin. The Core module comes loaded with pre-programmed sequences; the module plus one of the others is required to start making music. Further modules can be added at a later date to complete the experience. Each module is part of a customisable environment that combines noise generation and alternative approaches to electronic sound synthesis. (Dirty Electronics) explores the idea of Dirty Electronics that focuses on shared experiences, ritual, gesture, touch and social interaction. is an artist, designer and moving image maker. He is Creative Director and co-founder of Studio Creme the London based design and motion studio. is a production and technology studio. We help artists, creatives and brands realise complex projects. Based in London and working worldwide, Artists & Engineers comprises a small team that draws on a large network of skilled people. 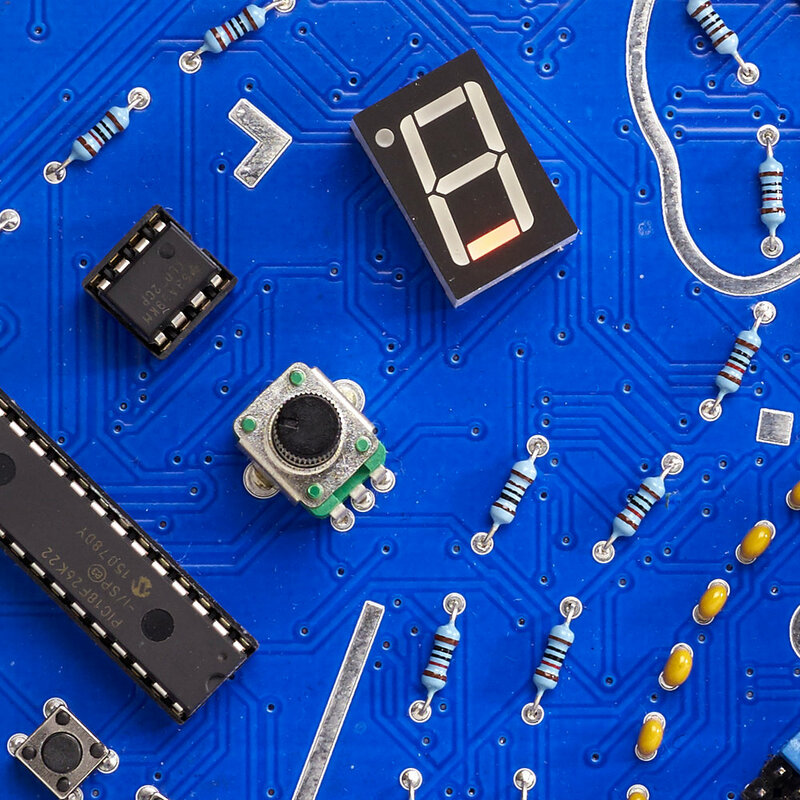 A&E’s skills and experience cover a broad range of disciplines from electronics and physical engineering to events production and live performance technology. We love supporting artists and researches in the fields of performance technology, interaction and audio-visual work.